Reversed Hand With Middle Finger Extended likely to get a good work-out. 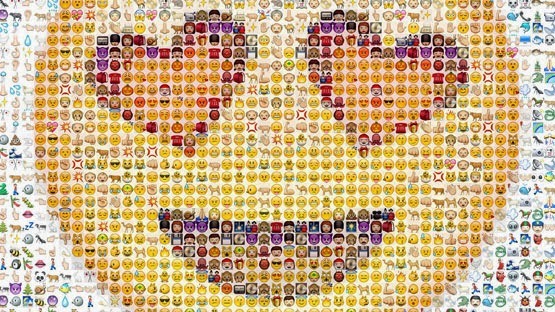 Words are set to become even more obsolete as Unicode, the industry standard that regulates how text is seen across different platforms, updated today to include 250 new emoji, perfect to convey a whole range of emotions you never knew existed. Included in the updated list is a bunch of weather related emoji, plus Man in Business Suit Levitating, Spy or Sleuth for the "Sherlock" crazed, Raised Hand With Part Between Middle And Ring Fingers for the Trekies among us and the universally useful Reversed Hand With Middle Finger Extended. Reports The Verge, Unicode only develop the plain text version of the new icons and it will be up to the makers of Unicode member platforms like iOS and Android to implement the new standard and develop pictures to represent them. You can read the full list of the new emoji names at EmojiPedia.com, images for which will appear on the site as they are released. According to The Verge, Apple has been working to include more ethnic diversity in the emoji vocabulary, which currently shows mostly white people. However the list of new emoji posted by Emojipedia doesn't include many new emoji of people, which might have developers Slightly Frowning Face about that.